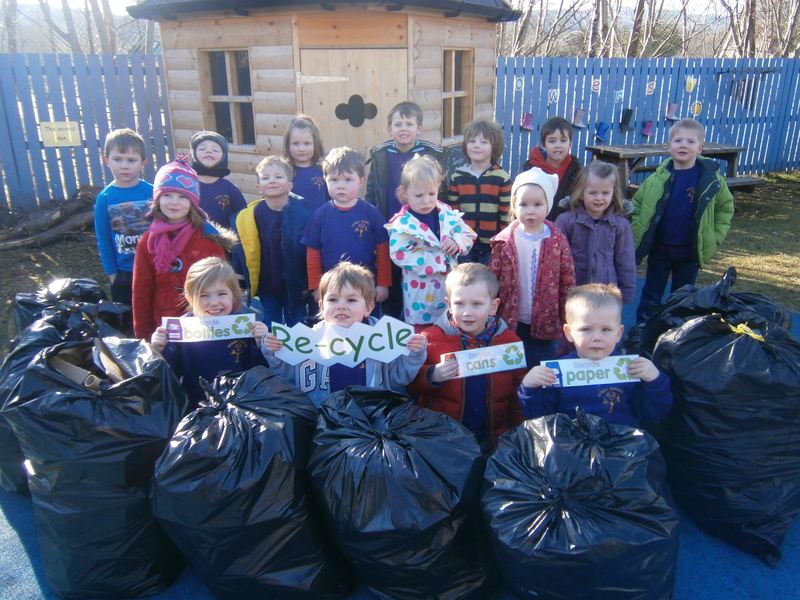 Over the last 4 weeks Taynuilt Nursery have been looking at recycling both at home and in and around their Nursery. Kat the Grab lady visited with her friend Haggis the Crow to show the children how to reduce, reuse and recycle. They all made a composting bin for home and a bird table for their garden. Their special celebration was a trip to Oban to recyle some toys at Marys Meals and 12 bags of paper, cardboard, tins and bottles at Tesco’s recycling units. 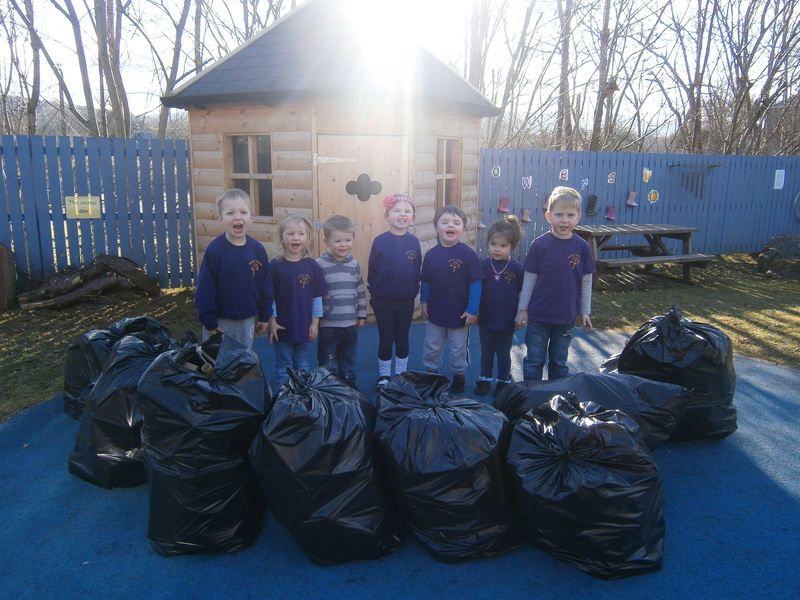 As we are a very Eco friendly nursery we will continue to recycle during our daily routines.